The Coventry-based firm built bicycles as early as 1884, and its founder, John Starley, had had the foresight to evaluate a number of Peugeot motorcycles in 1899. Starley died in 1901 and was succeeded as Managing Director by Harry Smith who continued development and demonstrated the company's first motorcycle in November 1902, the Rover Imperial. Prior to the First World War Rover built conventional diamond-framed machines using 496cc 85x88mm sidevalve engines of their own design, augmented after the war by Rover 248cc and 348cc OHV engines and JAP engines including a 676cc V Twin. 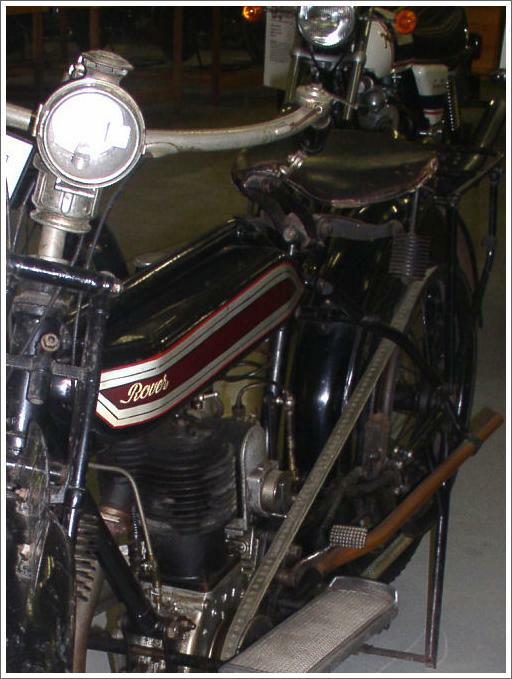 During the Great War the company supplied motorcycles to the armies of Britain and Russia. Subsequently production of motorcycles took second place to automobiles, and in 1924 the manufacture of all two-wheelers ceased. Over 10,000 motorcycles had been built.